China Tours 2019/2020 - Find Amazing Holidays to China here! A tour to China offers unique historical towns and cities, cultural treasures, fascinating nature and wildlife, and countless UNESCO-protected sights and attractions. Encounter one of the world’s most exciting travel destinations in the Middle Kingdom. Check out all our tours to China below. Do you dream of experiencing China but have limited time available? Then this shorter tour is perfect for you. You will visit three unique UNESCO World Heritage sites and Shanghai’s crazy contrasts. 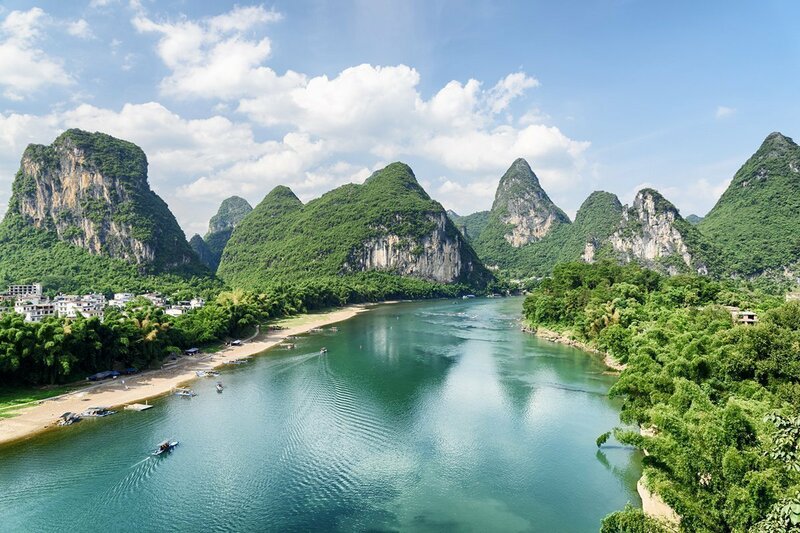 This holiday takes you to the absolute highlights of China: the Forbidden City, the Great Wall, the Terracotta Army and the picturesque landscapes of Yangshuo. You round off the tour in fascinating Shanghai. Discover eight UNESCO sites, which provide a unique insight into China’s history. 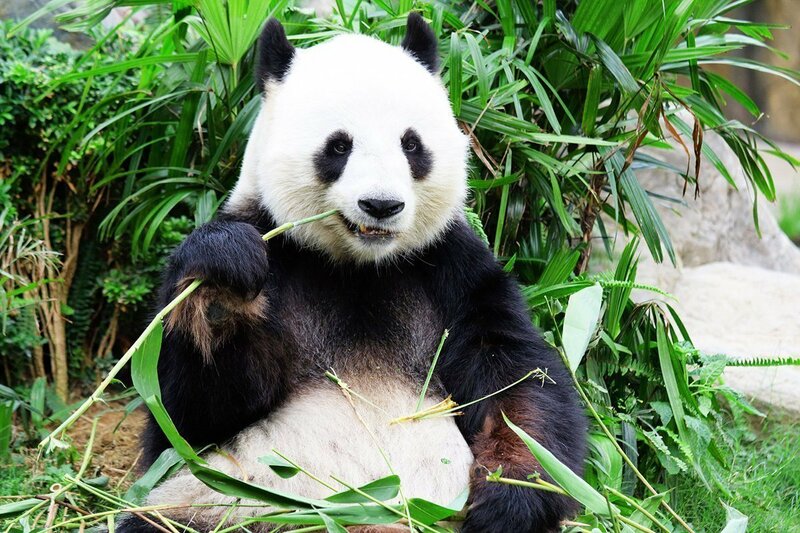 Be enchanted by Yangshuo’s poetic landscapes and entertained by Chengdu’s clumsy pandas. This is the best of China! Why should you holiday in China? China is a vast country, made up of provinces that are almost like small countries in their own right, with their own capitals and history. And like its geography, China’s many sights and attractions can seem endless. With a history dating back more than 6,000 years, China abounds with historical towns and cities, the cultural treasures of changing dynasties and civilisations, beautiful scenery and fascinating wildlife, not to mention fifty different UNESCO-protected sites. China truly is one of the world’s most exciting travel destinations. 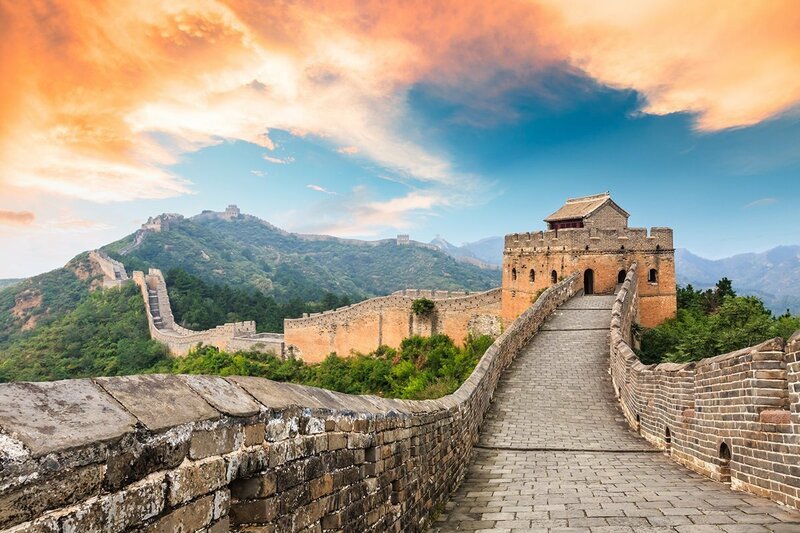 Our holidays provide a wonderful insight into China’s culture, nature and history, and you will experience some of the country’s many UNESCO sites. Read more below about the selected highlights you can experience on our tours. 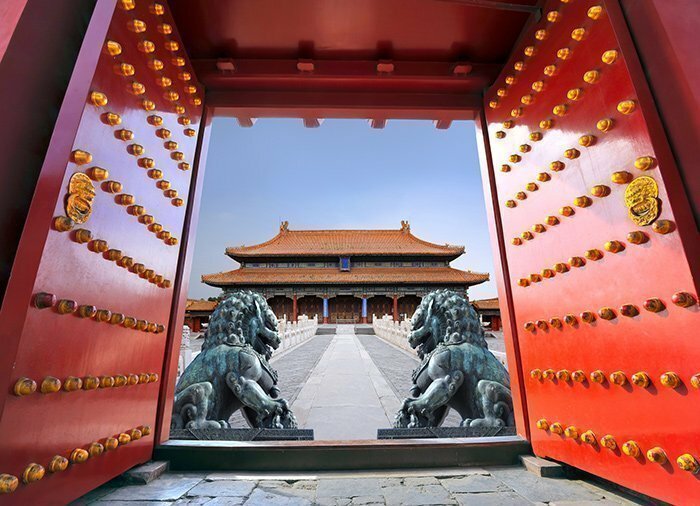 Beijing, the capital, represents modern China, and yet you will also find countless beautiful and interesting historical sights there that testify to the country’s incredible past. Tiananmen Square is a large square in the heart of Beijing, perhaps best known for the major demonstrations that took place there in 1989. Today, however, experiences in the square are less dramatic. The square is said to be large enough to accommodate a million people with ease. Every morning and every evening, people gather to see the lowering of the Chinese flag. The square offers sights such as Mao Zedong’s mausoleum, where you can see Mao’s embalmed body. Opposite Tiananmen Square lies the imperial palace, or the Forbidden City. The palace is a testament to the greatness of the Ming and Qing dynasties, when the emperors of the dynasties ruled the Middle Kingdom from this unique monument for almost 500 years, from 1420–1911, when the last dynasty fell. The palace was for the emperor, his family and his officials, and the penalty for anyone attempting to enter was death, hence the nickname of the palace: “The Forbidden City”. “The Forbidden City” is China’s best preserved and most beautiful palace. It is said to contain 9,999 rooms. The number was carefully chosen, i.e. to have one less than in Heaven, as it was feared that the gods would punish the country if the emperor tried to outdo them in terms of splendour. 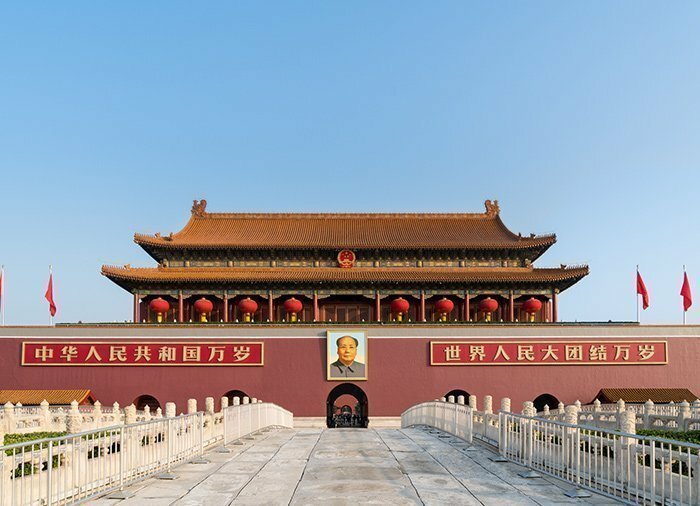 Today, the entrance is adorned with a portrait of Chairman Mao, and the palace itself is a large museum, where you can explore the imperial buildings, throne room and courtyards. North of Beijing, extending from the Yellow Sea in the east, across mountain ridges to the endless Gobi desert in the west, is the Great Wall of China. The wall, which actually consists of several walls, is a unique marvel, considered to be one of the most impressive architectural achievements in world history. It has been a UNESCO World Heritage Site since 1987. When China’s first emperor, Qin Shi Huang, united China in 221 BC under the Qin dynasty, earlier parts of the wall were joined to create a coherent defence system against invasions by Mongolian tribes, or barbarians, in the north. The building continued for many centuries and several dynasties, and under the Ming dynasty (1368–1644), the wall as we know it today was built. Today, large parts of the wall are in ruins, but a great deal of time and effort has been devoted to restoring selected sections. 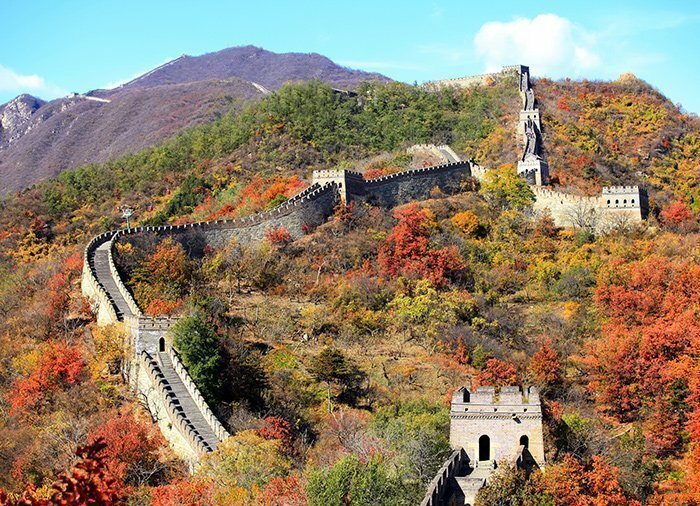 With Asiatours.co.uk, the wall can be visited in two different places, depending on which tour you choose. Mutianyu is one of the best-preserved sections, where you can see the wall wind its way up the mountain ridge. Whether you walk or take the cable car, you will be rewarded with a fantastic view from the top. You can also visit the wall at Juyongguan, which was one of the important passes guarded by the emperor’s guard. The pass is located between two mountains, and from here, you get a beautiful view of the wall winding its way through the surrounding mountains. Beijing offers some beautiful parks and recreational areas in the heart of the hustle and bustle of the city. In east Beijing is The Temple of Heaven Park. The emperor and his enormous entourage came here twice a year to sacrifice to heaven for a good harvest at The Temple of Heaven. A poor harvest could mean the fall of the dynasty. West of the Forbidden City lies Beihai Park, one of the best preserved of the emperor’s many gardens. Nestled at the top of a mound is the beautiful white pagoda, which is a symbol of the park. Beihai Lake also occupies a large area of the park. North of the Forbidden City lies the imperial Jingshan Park, where you will find Prospect Hill, a man-made hill from which the imperial army could keep watch for enemies from the north. The hill is Beijing’s highest point and, on a clear day, you can enjoy an excellent view of the Forbidden City. Beijing’s parks are definitely worth a visit. See the locals doing Tai Chi, singing, dancing and playing Mahjong, giving you an insight into the everyday life of the city’s older generation in particular. Beijing offers a whole host of experiences that can easily keep you busy for a great many days. On our tours, you can also experience the following highlights. Just outside Beijing is the UNESCO-protected Summer Palace, an imperial park on Lake Kunming. The court of the Qing Dynasty spent much of the year here. Discover the beautiful temples, gardens and bridges, and of course the lake, which you can walk on when it’s frozen in the winter. 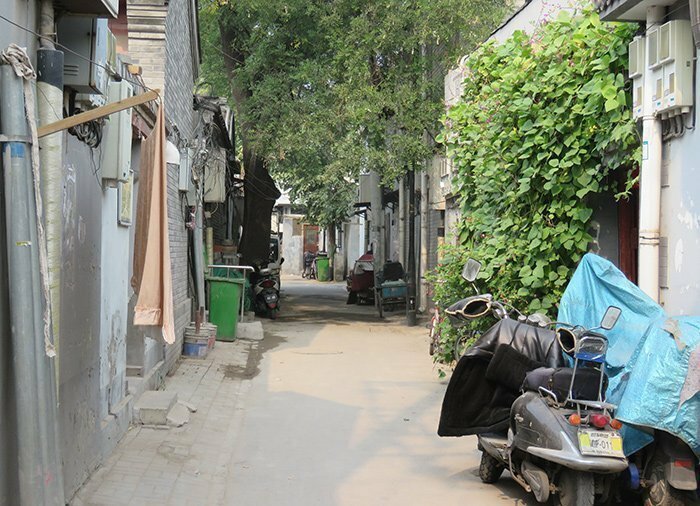 Explore the city’s hutongs by rickshaw and experience the city from its more traditional side. 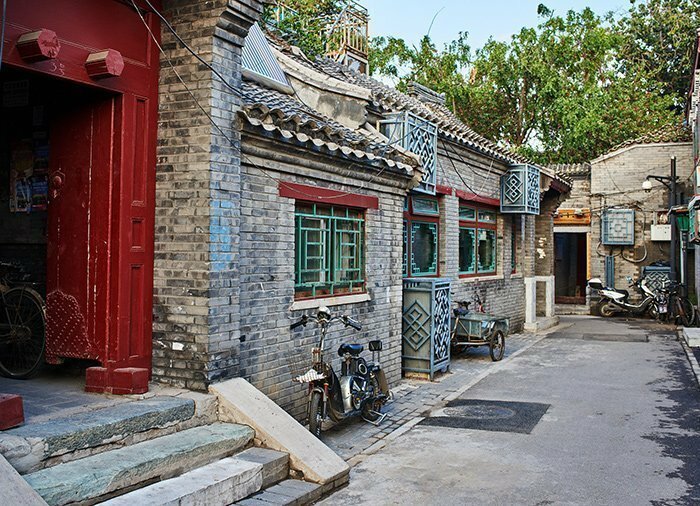 A hutong is an old part of the city with narrow streets and alleys. Although many hutongs have disappeared in recent years, some have been restored and become trendy shopping streets, e.g. Nanluoguxian, offering an array of cafés, bars and small shops selling clothes and crafts. 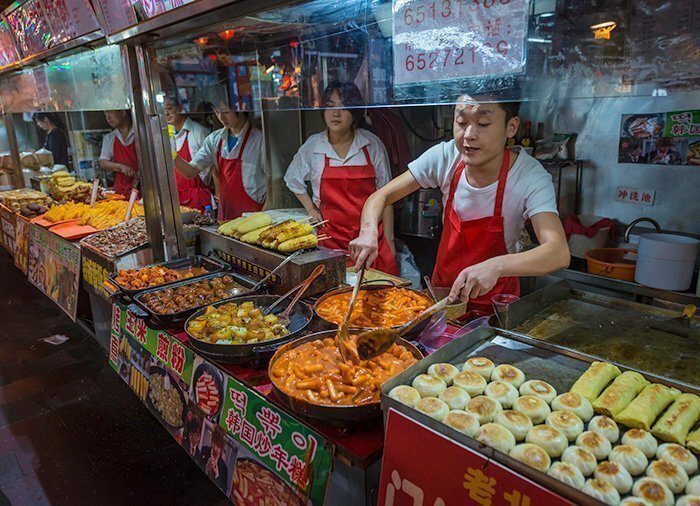 Beijing offers countless culinary experiences. Why not try the local speciality, Peking duck? The juicy duck is sliced at the table and eaten with small pancakes, spring onions and a delicious sauce. Xi’an is the capital of Shaanxi Province, an exciting city in central China. The city was the capital of China from around 1000 BC to around 900 AD, and again when the first emperor gathered the country under the Qin Dynasty in 221 BC. The city was, for many years, also the eastern departure point of the Silk Road, an important trade route, which has left its mark on the development of the city. Xi’an abounds with historical pagodas and world-class museums that recount the lengthy history of the city. 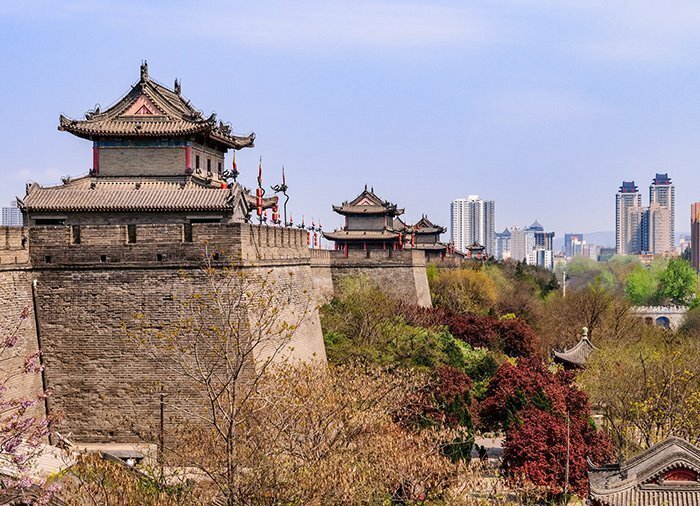 You can, for example, see the city wall, which dates back to the Ming Dynasty (built in 1370), but follows the original wall of the Tang Dynasty (618–907). The wall itself, which surrounds Xi’an city centre, is 12 metres high and 14 kilometres long, and, together with the city’s central Drum Tower, is iconic for Xi’an. It is possible to cycle all the way round on the wall. 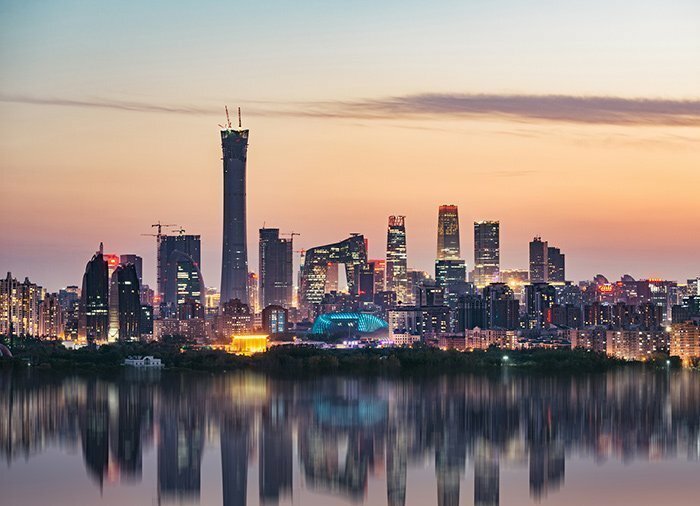 Visit the Wild Goose Pagoda, which dates back to the Tang Dynasty, Xi’an’s Great Mosque, a beautiful blend of Chinese and Islamic architecture, and the bazaar where you can buy everything from small terracotta warriors to T-shirts and much more besides. The UNESCO-protected Terracotta Army is Xi’an’s main attraction, not to mention one of the most famous archaeological finds in the world. In 1974, a local farmer made a unique discovery when he was digging a well. Under the ground, there appeared to be a huge army of man-made clay figures. The Terracotta Army consists of thousands of man-made soldiers lined up for battle, as well as hundreds of chariots and horses. 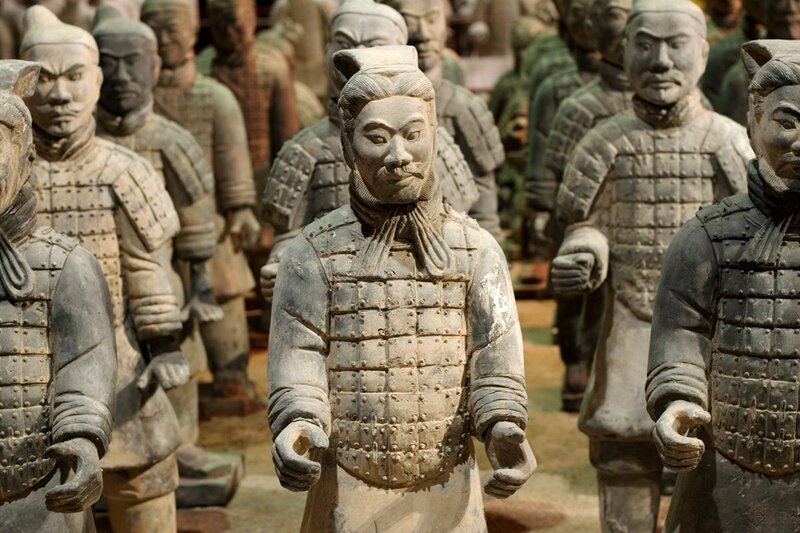 It is believed that China’s first emperor had this army built to protect his tomb. One of the outstanding things about these clay figures is that each and every figure is unique and their clothes and equipment provide a great insight into life more than 2,000 years ago. The warriors have now been restored and stand where they were originally found. Two giant halls have been built over the warriors, from where you can see them close up. A museum has also been built, housing some of the beautiful, unique artefacts that were also found in the tomb, including bronze, gold and silver treasures. Sichuan Province, located in south-west China, is one of China’s best-kept secrets, where you will find some amazing highlights, including UNESCO-protected nature and wildlife. South of Chengdu on Mount Leshan, you will find the world’s largest stone Buddha, a UNESCO World Heritage Site. The Buddha was carved between 713 and 803 and so took 90 years to complete. The Buddha is carved out of the rock and measures 71 metres in height, 28 metres above the shoulders and his big toes are 8.5 metres long. The giant Buddha can be seen from many kilometres away and is truly an impressive sight, both from afar and close up. South-west of Chengdu, the capital of the province, you can visit Mount Emeishan, one of China’s four sacred Buddhist mountains. The name “Éméi” means beautiful eyebrows and refers to the two peaks on the mountain, and “shan” means mountain. The mountain is 3,099 metres high, a UNESCO World Heritage Site, and is considered to be China’s most beautiful mountain. Cable cars and steep steps take you between Buddhist temples and on the top you might be lucky enough to be able to look out over the cloud cover, which is lower than the mountain peak. China is known for its work to save the pandas from extinction. It has a total of four centres, which are UNESCO World Heritage Sites. 10 km north of Chengdu is Giant Panda Base, one of the four centres. The centre serves both as a nature park and research centre, and the area is covered in bamboo, the only food source of the pandas. Both the Giant Panda and the Red Panda live at Giant Panda Base. The best time to see these charming animals is in the morning, where they are fed and most active. 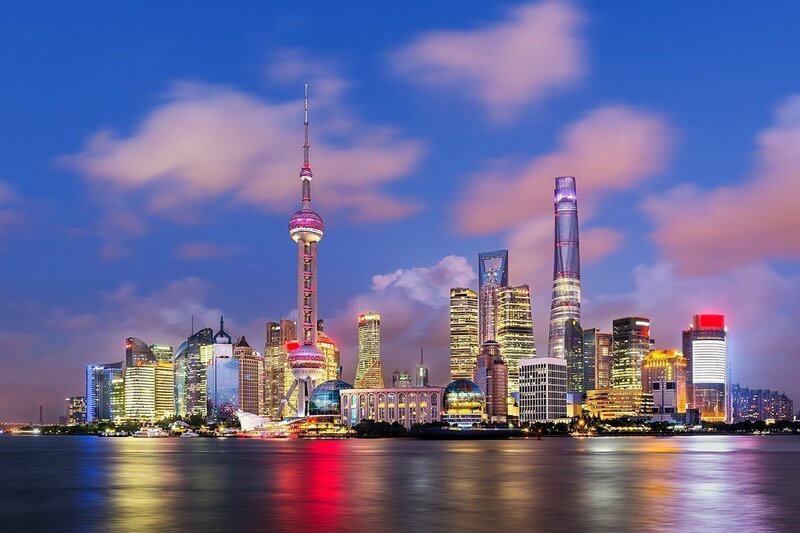 Shanghai, China’s biggest city, where you can discover modern-day China. 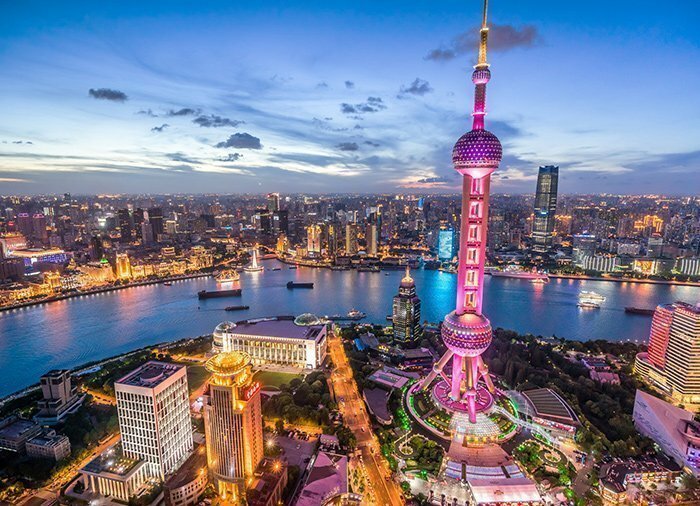 Take a walk in the glow of the neon lights on the Nanjing Lu shopping street, experience futuristic skyscrapers in the Pudong district, or go for a walk on the Bund, where you can see the historic commercial buildings. The Shaolin Monastery is a UNESCO World Heritage Site. It is located 60 km from Luoyang in Henan Province in central China, in a scenic area surrounded by beautiful mountains. In the monastery’s heyday, several thousand monks lived here, and the monastery became world famous for the Chinese martial arts that came as an antidote to the sedentary meditation of the monks. Today, the monastery is surrounded by martial arts schools teaching Qigong, Tai Chi and Gongfu. The 2,200-year-old irrigation system in Dujiangyan in Sichuan, which is the world’s oldest irrigation system without a dam. The system was designed to control the water level in the rivers from the mountains to the plains around Chengdu. It is a feat of engineering of great importance to the development of irrigation systems throughout China. The irrigation system became a UNESCO World Heritage Site in 2000. Do you have any questions about China? As mentioned above, China offers countless experiences, which you could spend many years exploring. You can also obtain more practical information about travelling in China on our “Practical information about China” page, where you can read more about the climate in China, visas and much more besides. If you have any questions about China or our other destinations in the Far East, please feel free to contact us. When is it best to travel to China? China is one of the world’s largest countries, so there are significant differences in the climate depending on where you are in the country. Northern China lies in the temperate zone, while further south, the country lies in both the subtropical and tropical zone. The different season can shift a little depending on the area. Beijing is located in the temperate zone. Winter is cold and dry, while summer is wet and warm. In the spring and autumn, there is very little rain and mild temperatures. The coldest month is January, while the rainiest months are July and August. Xi’an is located in the temperate zone. As in Beijing, the winter is cold, dry and sometimes foggy, while the summer brings really hot, wet weather. Spring and Autumn are relatively dry, and the rainiest months are in late summer/early autumn. Shanghai is located in the subtropical zone. The winter here is dry and cold, but a little milder than in Beijing, for example. While night-time temperatures often drop below zero, it rarely snows. The summer offers very hot temperatures, which sometimes hit 40 degrees. The summer months are also characterised by heavy showers. On the other hand, spring and autumn generally offer dry weather and pleasant temperatures. However, you should be aware that temperatures can change quickly in the autumn. Chengdu (Sichuan Province in south-west China) is located in the subtropical zone. The climate here is mild, with relatively pleasant temperatures even in the coldest months. The weather is hottest and wettest during the summer months, especially in July and August, and it can be quite muggy. The winter, on the other hand, is not quite as cold as in other places, but it may be foggy and humid, making it feel colder. The spring starts out mild, getting warmer as the season progresses, and autumn starts out hot but becomes milder. The weather is changeable in both spring and autumn, with hot days rapidly replaced by cooler days – and vice versa. 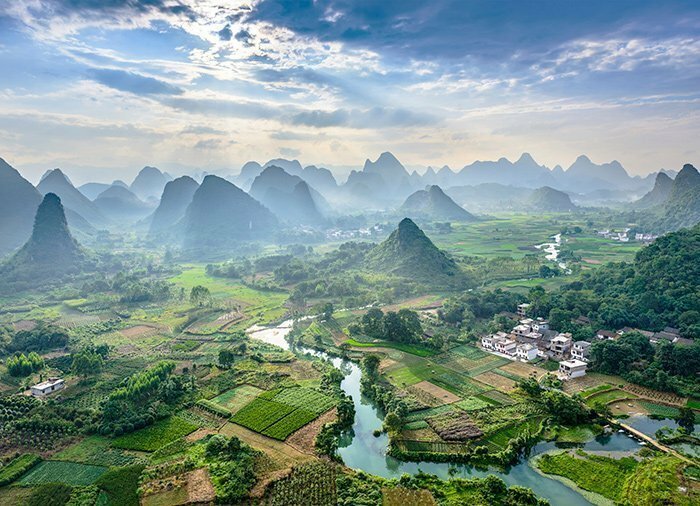 Yangshuo (Guangxi Province – one of China’s southernmost provinces) lies in the subtropical zone. Yangshuo is generally a little warmer than Shanghai, but gets a lot more rain. The winter months are the driest of the year with mild temperatures, while in the summer and for much of the spring, a lot of rain falls. Autumn is relatively warm and gets a little more rain than in the winter.